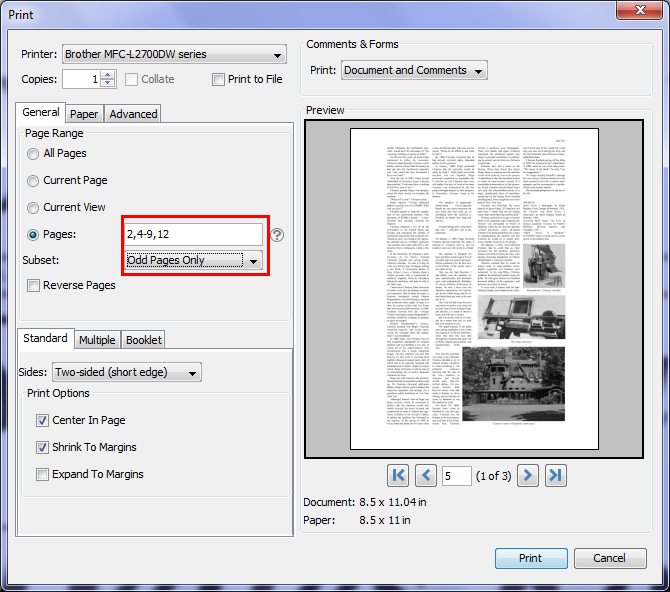 Q: I want to print some pages in a PDF document but they’re located in different page ranges. Does PDF Studio Print Dialog allow me to do this? For Example: I have a PDF document and I want to print page 2, pages 4 to 9, and page 12. A: Yes, this feature is available in PDF Studio 11 and above. The “Pages” option in the print dialog will allow you to specify different page ranges on the document and print it. Below is an example on how to use this feature. You can also select a subset value based on your page ranges. For example, your page range is 2,4-9,12 and your subset value is “Odd Pages only”. 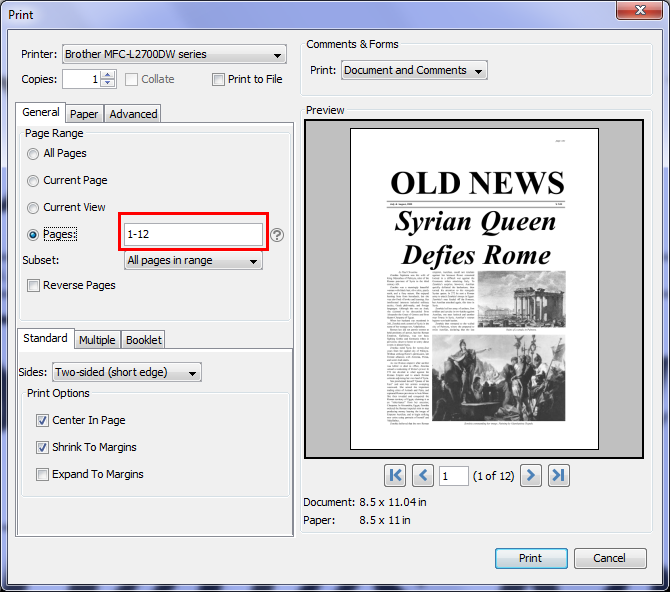 PDF Studio will print all the odd pages in your page range. In this example, it will print page 5, 7, 9.